Enter your information On the Form Below to get emails when we get new cheap properties in our inventory. Tap into our own inventory of exclusive high ROI investment property in two of the most attractive markets in the country. Phoenix, Arizona and Grand Rapids, Michigan. The biggest struggle buy and hold real estate investors and rehabbers / flippers have in today’s market is finding great deals on solid properties. At TopazHouses.com our main business is buying and selling houses in the Grand Rapids and Phoenix area’s. Once we lock down a house under contract we turn around and pass the savings onto our Preferred Buyers to purchase the property and fix it up and/or hold it in your rental portfolio. We know the Phoenix, AZ and Grand Rapids, MI markets inside and out and our speciality is in finding great off-market deals and putting them into our lease to own portfolio or offering them to our investor partners like you. Check out the rest of our website and join our Preferred Buyer list to get notification of new investment properties as they become available. Not all properties make it onto this website as most of them are sold to our Preferred Buyers list before we have a chance to upload it on this website. We look forward to working with you and helping you reach your financial goals through real estate with less stress and effort. We also come across many distressed single family Phoenix AZ, MI properties because of our relationships in the market and secure those properties at substantial discounts. Many people call these properties fixer uppers or “handyman specials”. Because of our very effective marketing programs, we’re able to get investment property deals in Phoenix that most other investors never even hear about. We pass those savings along to our investor buyers on our VIP Property Deals list. If you’re interested in buying Phoenix and AZ, MI investment properties at steep discounts (both single family and multi-family)… whether you plan to buy and hold as a rental property or fix the property up and resell it… join our VIP Property Deals list today to get an email when we secure new properties that fit what you’re looking for. If you’re looking to add property to your investment portfolio, Grand Rapids is an amazing market to buy in. Ranked #1 in a recent Forbes column on where to invest in housing, Grand Rapids has a strong jobs market and is seeing above average housing appreciation and rents across the board. 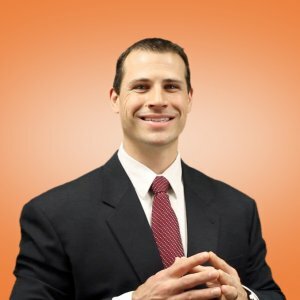 Because of our very effective marketing programs, we’re able to get investment property deals in Grand Rapids that most other investors never even hear about. We pass those savings along to our investor buyers on our VIP Property Deals list. 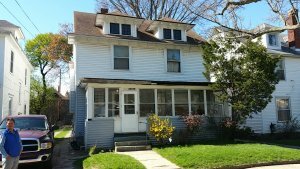 If you’re interested in buying investment properties in Grand Rapids at steep discounts (both single family and multi-family)… whether you plan to buy and hold as a rental property or fix the property up and resell it… join our VIP Property Deals list today to get an email when we secure new properties that fit what you’re looking for. Get Access To Our Property Alerts For Grand Rapids. Being one of Phoenix‘s premier real estate investment firms we run across a lot of great investment property deals in Phoenix and around AZ, MI. Our Early Alert Property Buyers list gets first access to AZ, MI investment properties for sale before we list them on our website. Also, we work with qualified local investors who want to leverage real estate to help you diversify your portfolio and earn solid returns. From buying Phoenix rental properties from us, to joint venturing with us on real estate projects, to debt investors looking for a consistent return… we options that you may be interested in.